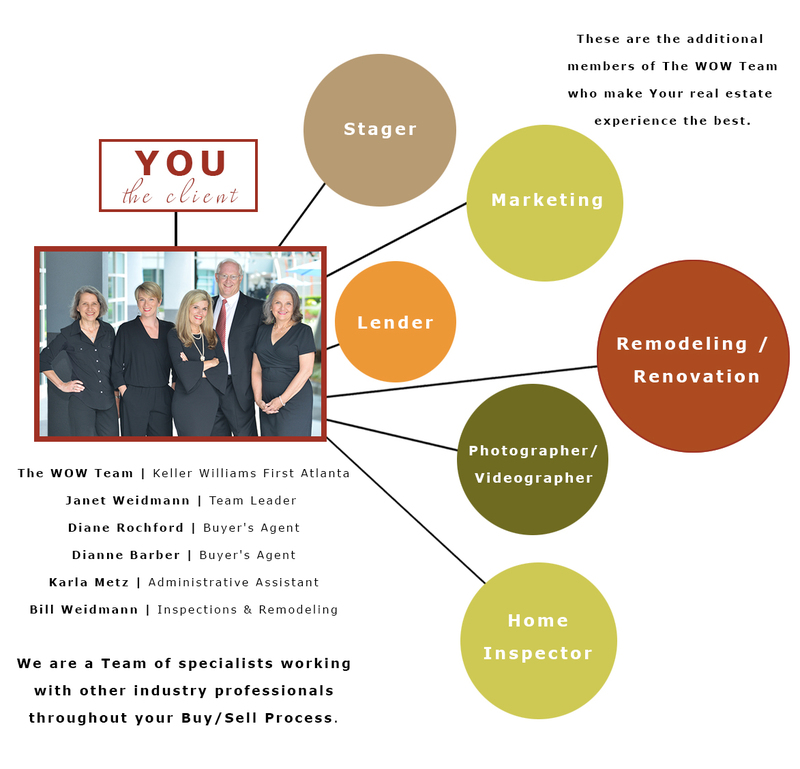 The whole WOW Team is a group that extends beyond the immediate core. This group of specialists work daily to ensure each of our clients has the best experience during their Buy / Sell process. Every home purchase & sale is different, The WOW Team recognizes this and works to make each experience a positive one. Come and meet The WOW Team, quality and dedicated individuals considering it a privilege to do repeat business with our sphere. To read more and connect with The WOW Team follow this link to the WOW page.